Rory Dower completed his formal training as a specialist plastic, reconstructive and aesthetic surgeon in South Africa, obtaining both his MMed (Plast Surg) and FC Plast Surg (SA) (board certification). He has made it his personal commitment and goal to travel widely over a number of years, to learn the techniques of the world’s leading plastic surgeons, to understand their philosophy on aesthetic surgery and draw from their extensive experience. He is an internationally trained plastic surgeon that is committed to offering his patients the very best surgical techniques to achieve a refreshed and natural look. Dr Dower completed an aesthetic fellowship at The London Clinic on Harley street, working with David Ross and Charles East, in general cosmetic surgery and rhinoplasty. 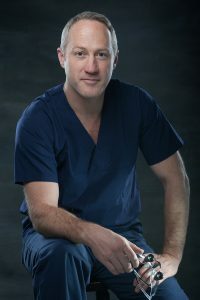 After obtaining his qualification in South Africa, he spent three years traveling extensively in an effort to gain new surgical skills and to learn advanced techniques from some of the world’s most innovative plastic surgeons. Breast reconstruction is an area that is particularly close to Dr Dower’s heart, and he offers the full spectrum of reconstructive options, including both implant and own tissue reconstructions. This includes the autologous DIEP procedure, which many consider to be the gold standard of own tissue reconstructions currently available. This procedure makes use of the patient’s own tissue, taken from the lower abdomen, resulting in both a natural looking and feeling breast, as well as a flatter tummy. Dr Dower is also the owner of the Therapy Specialist MediSpa, an adjunct to his practice in Somerset West, which offers an intimate and personal service with treatments selected by Dr Dower himself. Whether you’re interested in injectable anti-wrinkle treatments (like Botox) or fillers, or simply want an effective medical grade facial or chemical peel that really delivers results, his aesthetician is trained to incorporate techniques that assist in promoting deep relaxation. “There’s absolutely no reason why most medical grade treatments can’t be delivered in a way that leaves the patient feeling relaxed and pampered at the same time,” says Dr Dower. Dr Dower is married to Bridget, a medical doctor who supports his practice both clinically and administratively. He is a great advocate of couples working together, being able to understand and share life in a very practical way that builds understanding and closeness. Together, they have three small children who are the light of their lives and, when not working, they can usually be found outdoors, enjoying adventures and explorations in the beautiful Helderberg basin. Dr Dower did an observorship at the Marienhospital, Facial and Plastic Surgery Unit under Professor Gubisch, one of the world’s authorities on Rhinoplasty surgery. Dr Marten has mastered the high-SMAS facelift technique to achieve a dramatic and beautiful result. Seen by many plastic surgeons as one of the founding fathers of cosmetic surgery. Also, the author of “The Art of Plastic Surgery” and editor of the Aesthetic Surgery Journal. An expert surgeon in blepharoplasty, facial rejuvenation and aesthetic breast surgery. Well known as one of New York’s top facelift surgeons. Dr Dower has completed two international fellowships in microsurgery with a special interest in breast reconstruction and treatment for lymphedema. The first at St Thomas’ Hospital in London, working as part of a multi-disciplinary team treating patients with breast cancer. The second, an advanced microsurgery fellowship at the China Medical University Hospital in Taiwan, dealing with all aspects of microsurgical reconstruction including complex head and neck reconstruction and treatment for lymphedema. This was followed by an observorship in implant breast reconstruction at the Memorial Sloane Kettering Cancer Centre in New York. He is committed to helping treat women with breast cancer by being able to offer all types of breast reconstruction.